The Kid Who Would Be King. Once he finishes his homework. The Kid Who Would Be King sees Joe Cornish’s return to the helm for his second directorial feature, some eight years after his inner-city sci-fi, Attack The Block. This time around, Cornish goes flat-out fantasy with this tale of a bullied schoolboy who discovers the mythological Arthurian sword Excalibur, which in turn means it’s his destiny to save the universe from an otherworldly evil. No pressure then. 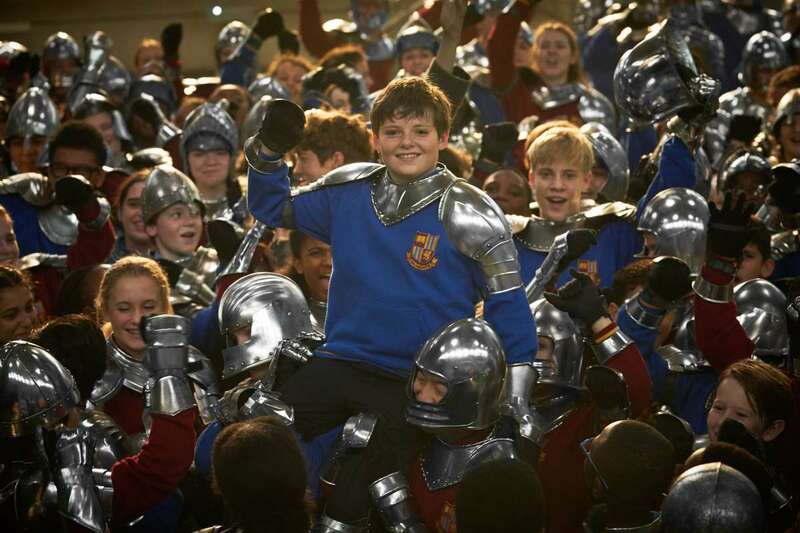 Recruiting the one-time bullies, his BFF, and magic-man Merlin to his round-ish table, Alex (Louis Ashbourne “Son of Andy” Serkis), takes the fight to the evil enchantress Morgana (The Greatest Showman’s Rebecca Ferguson), all whilst keeping his headteacher sweet and his mother in on the action. Spectacular action scenes show an army of undead horsemen charging down school corridors, knights going toe-to-toe with the big baddies, and all the excitement that comes with going off-timetable for a day. The Kid Who Would Be King looks set to channel the adventure film faves of the 80s with a helping of Harry Potter and a slither of Spider-Man: Homecoming on the side. Who says they don’t make ‘em like this anymore; Joe Cornish does. Hattori Hanzō: an ancient samurai warrior who helped to unite Japan. In Quentin Tarantino’s Kill Bill, his namesake is the creator of a sword both feared and revered. Handy if you’re an assassin on a vengeful rampage against your former crew and beau. Like the former Ben Solo himself, this cross-guard laser sword is visually iconic, somewhat unstable and dangerously temperamental. The sky-high expectations that accompanied Star Wars: The Force Awakens were smashed as soon as that lightsaber fired up. Can your sword transform your timid kitty into the mighty Battle Cat? Can it make everyone forget that their hero is simply you with your shirt off? The Power Sword can. Shame it’s only used to advertise price comparison websites nowadays.